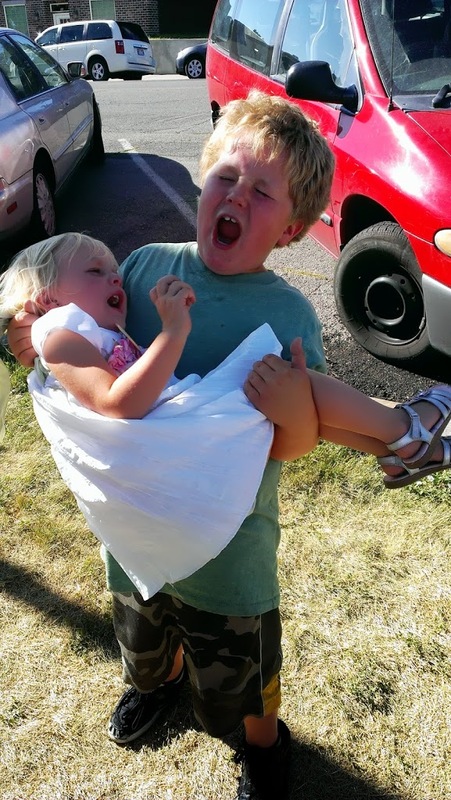 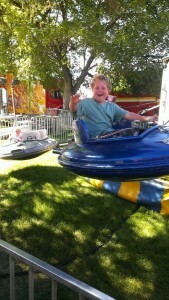 Caleb rode huge rides at Lagoon but when it comes to the Carnival he turns into a sissy. 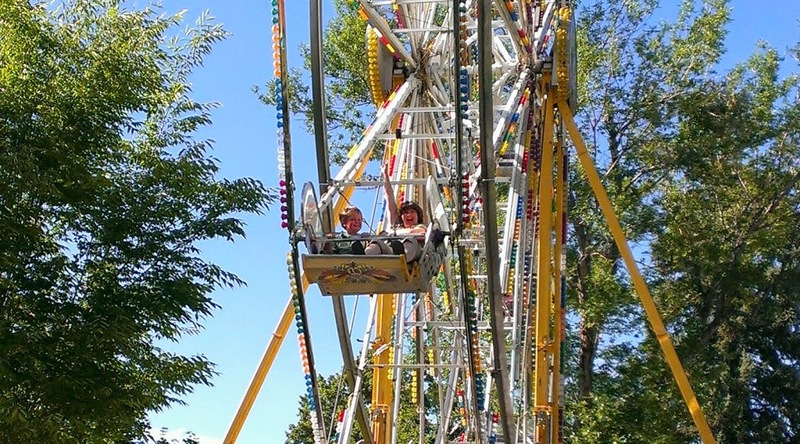 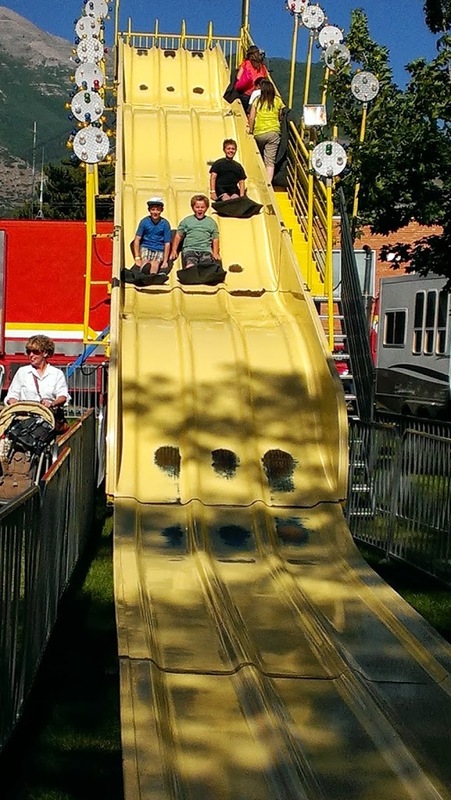 We went with Grandma Walker to the Pleasant Grove Carnival and he wouldn’t ride any of the “big” rides. 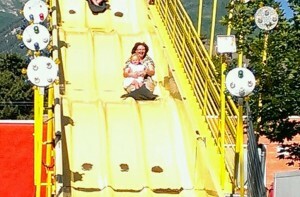 Instead he enjoyed the farris wheel with Grandma and the large slide. 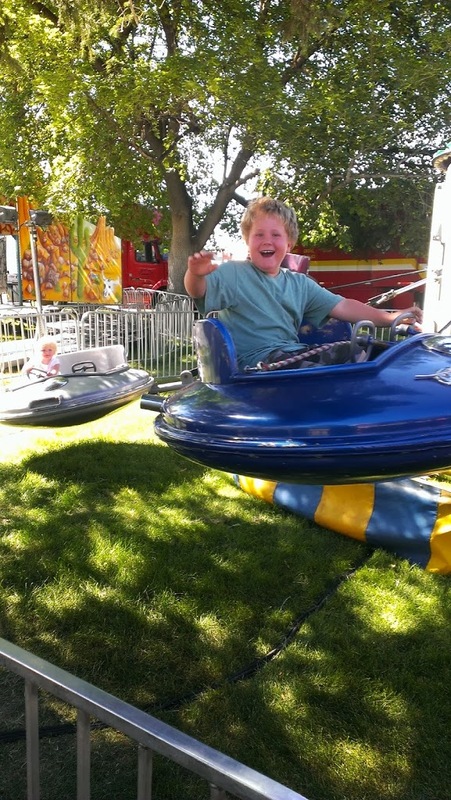 He pretended to have fun on the baby rides… silly boy. 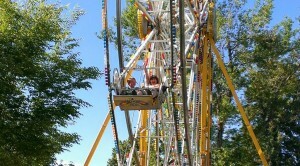 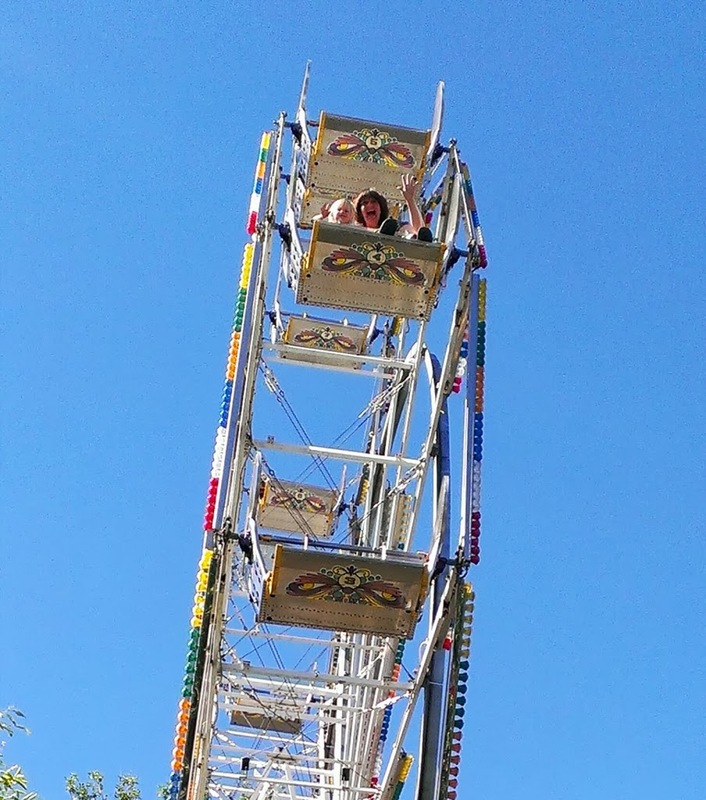 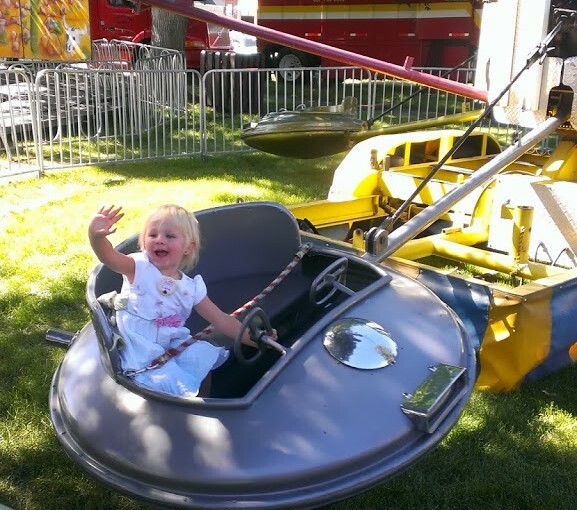 Ciara had never been on a ferris wheel before and LOVED it! 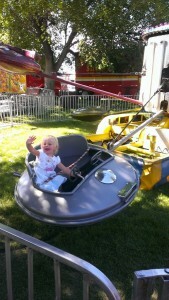 She was waving so hard for me to see her every time she went around! 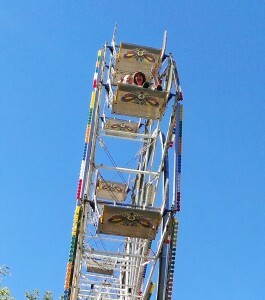 She squealed loudly. 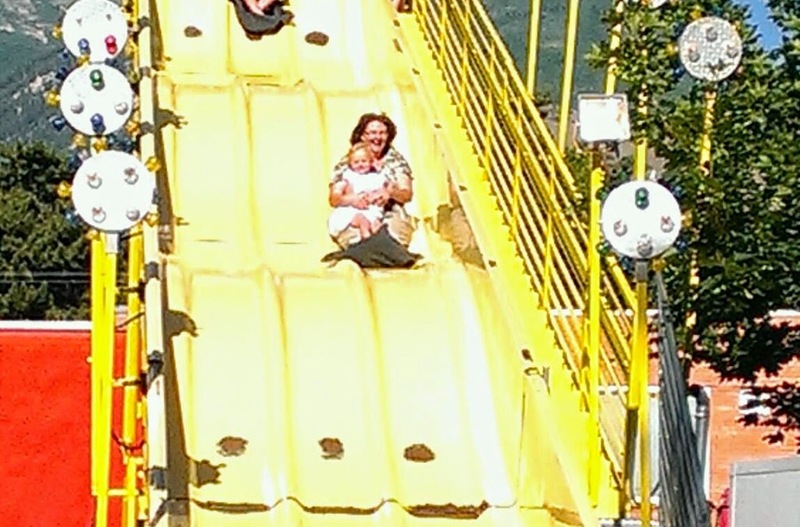 Grandma also rode down the large slide with her. Ciara had so much fun that she didn’t want to leave. She started crying for Caleb to carry her to the car so he did but not without making fun of her crying. 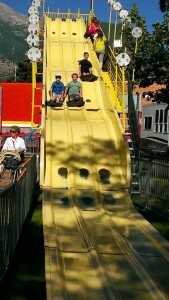 Which made both of them start laughing.